Our chapter has provided much needed items such as school supplies, toiletries, hair care products, teen mom nursery supplies, baby items and much more. Bucks County dads have also been involved in our community service outreach by assisting with much needed renovation projects at CHFC. 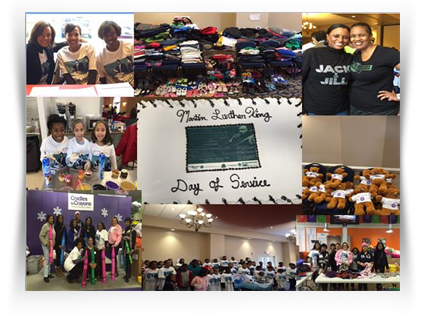 MLK, Jr. Day of Service 2014, we partnered The Links of Bucks County to collect much needed items for Cradles to Crayons. 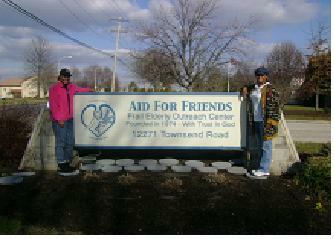 Items collected were: Coats, Hats, gloves, winter boots, Infact clothes, Infact car seats, Diapers and other essential items. 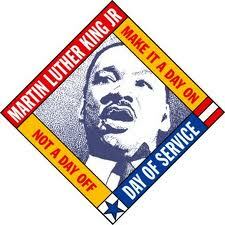 MLK, Jr. Day of Service 2011, once again proved to be a day of phenomenal giving for our chapter. 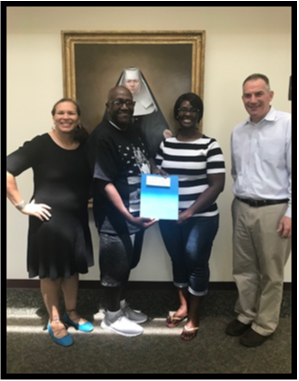 We partnered with Central Bucks Cares and Central Bucks Christian Fellowship Church to gather and pack care packages for the pediatric unit at St. Mary's Hospital in Langhorne, PA. We also gathered school supplies for 2nd graders at a local Philadelphia elementary school. 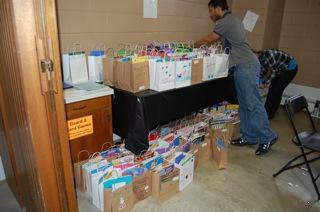 We surpassed our expected goal by creating more than 100 care packages for these worthy recipients. Along with our annual Martin Luther King Day of Service, each year our chapter participates in local fundraising activities to support such worthy organizations as Cradles to Crayons, March Of Dimes, Ronald McDonald House, Libertae House, YWCA's March Against Racism. These acts of service and support strengthen our community outreach and foster our childrens sense of philanthropy and appreciation of other situations much different than their own. 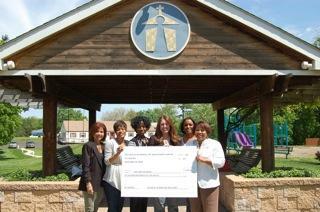 We are proud of our chapters Community Service and will continue to support as many comunity efforts as we can. 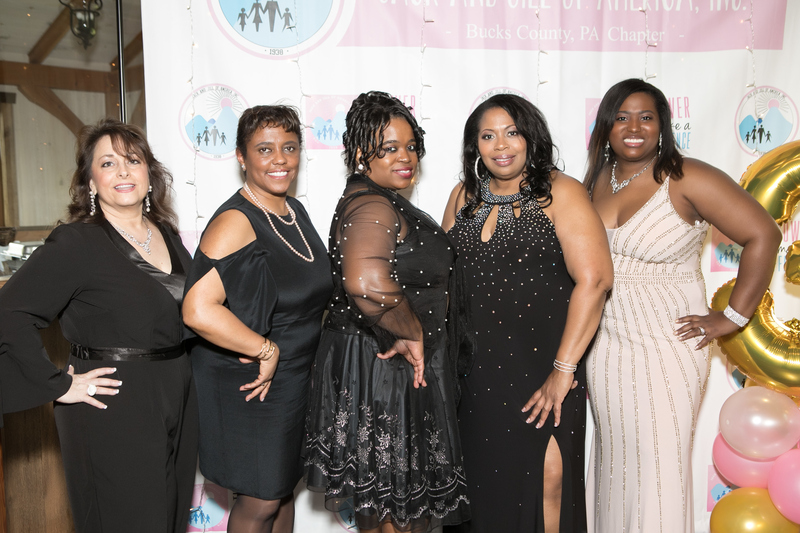 Jack and Jill of America is proud to continue the partnership with the March of Dimes to raise awareness of the seriousness of premature birth. Our Proud Bucks County Chapter supported our national partnership by participating in the March of Dimes/March for babies here in Bucks County. With approximately 30 moms and children coming out to walk 3 miles surpassing our fundraising goal and raising $2,230!!! 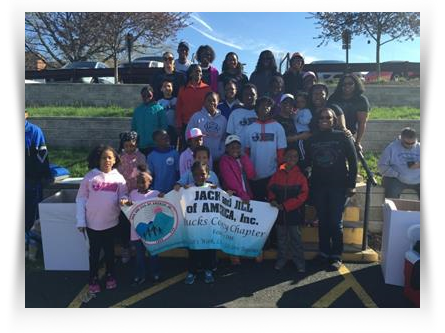 In September 2010, we collaborated with The Bucks County Links, Inc. and The Bucks County YWCA in conducting a food drive during our annual Jack and Jill Day Celebration. 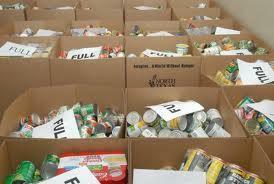 The donated cans of food were distributed to five different food pantries across the Bucks County area. Are You Ready to Get Your Walk On? This was the theme for our Chapter's Walk-A-Thon fundraiser and yes, we were ready! On Saturday, October 23, 2010, Bucks County moms, dads, children, aunts, uncles, grandmother and friends came to the Churchville Nature Center for our chapter wide fundraiser. Pledges were collected and everyone was ready to run, jog or walk to the finish line as we raised money for Christ's Home for Children (CHFC). This event included raffles, prizes, food, fun and a unique bonding opportunity for all participants as we Got Our Walk On! for a great cause. We raised over $5,482.00 for CHFC during this wonderful activity. 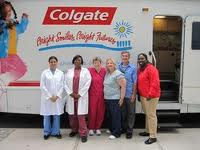 On Saturday, October 9, 2010, our Bucks County Chapter, The Bucks County Links, and Neighborhood First in Bristol, PA offered the services of the Colgate Bright Smiles, Bright Future Program, (BSBF) to an underserved community. BSBF is an oral health education program designated to improve the oral health of children by providing free dental health screening.The event included face painting, food, and fun for all participating children and caregivers. 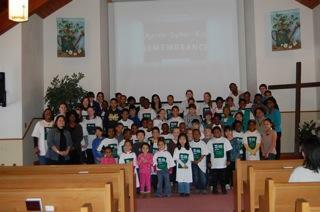 Our event was a great success with nearly 100 children being served. 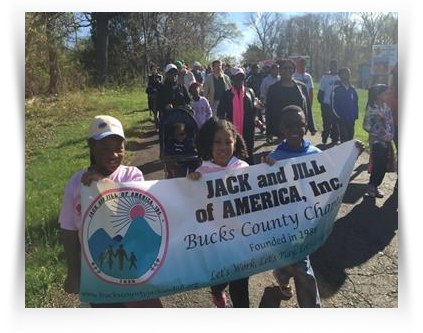 Jack and Jill of America will continue to be an organization that serves the community through its efforts and that of the Jack and Jill of America Foundation www.jackandjillfoundation.org. Also, we will continue to motivate our children to be servant leaders. 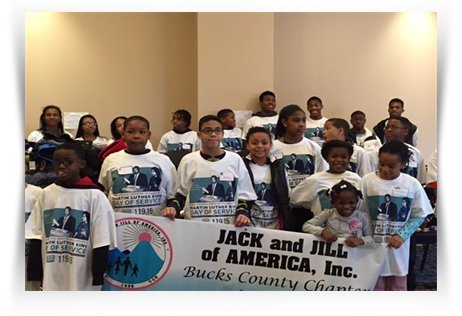 Each year, in January, to commemorate Martin Luther King Day, the Bucks County Chapter participates in Jack and Jill of America’s National Day of Service, which involves our families coming together to serve others in the community who are disadvantaged and in need. This year will mark the fifth year for the Bucks County Chapter’s community service partnership with Christ’s Home for Children (CHFC). CHFC is a private nonprofit Christian organization providing short term residential services to Bucks County children who are from the ages of infant to 19 years old and have experienced neglect, abuse, abandonment or being in an unsafe environment. 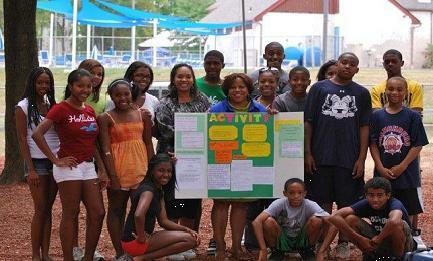 Community service is the hallmark of a servant leader and is the underpinning of the Jack and Jill of America philosophy of leadership development. 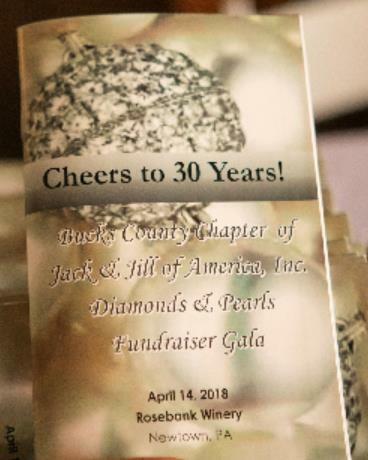 For this reason, the Bucks County Chapter integrates community service into both our monthly activities as well as chapter-wide events. We also hold fundrasiers to support our Community partner - St. Joseph & St. Vincent Homes for Children and award local youth with Scholarships through local organizations!